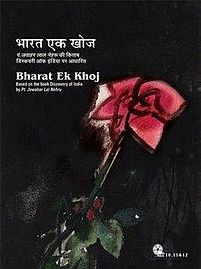 Let us continue our quest to review Hindi TV Serial Bharat Ek Khoj which is a magnum opus of Shyam Benegal. While you may find some of the stuff controversial but remember that the serial is a dramatized version of Discovery of India, a book penned by Pt. Jawaharlal Nehru. Episode #36 of Bharat Ek Khoj continues exploring the story of Aurangzeb and this is the concluding part of the same. The episode starts with a mention that Dara Shikoh, the crown prince was open minded like his grand father Akbar, but Aurangzeb was better then him at wars and politics. Let us take a bird’s eye view of the episode content to see what is explored in it. It was 29th May 1658 when the combined armies of Murad Baksh and Aurangzeb were clashed with that of Dara Shikoh’s. Dara’s army has more than 50000 soldiers which are integrated in a formation in quite hurry, and the opponents have war experienced 40000 soldiers. The result was as expected. Dara lost the war. Dara felt shameful for that and after running away, he wasn’t able to collect the courage to show his face to Shah Jahan. He rather, ran away to Delhi. He wanted to reintegrate his army by reinforcing new soldiers and eventually defeat Aurangzeb before going back to Agra to meet Sahh Jahan. On the other end, Aurangzeb approached Agra palace on 1st June. He was given a sword which was named Alamgir by his father. His father also sent a message to meet him once he took his rest. Aurangzeb was quite enthusiastic to meet his father. However, his advisers advised him against it. It is the palace, and the power plays stronger than the blood there. Eventually, it is revealed that calling Aurangzeb to meet him was a trap by Shah Jehan. It is said that excessive love and lust makes one blind. And, in this case, Shah Jahan, not only loved Dara more than the other princes, he was aware with his qualities also. So, as far as his will is concerned, he wanted to see Dara on the throne. From this point onwards, we see the way power politics is played and how members of a family, who are expected to support in normal cases, are against each other and were ready to get to any extent! Isn’t history taught us that it has an attribute of repeating itself again and again? If we need to learn some lessons from history, this is an interesting episode to watch. It proves that the lust of power is very cunning and destructive. It makes you blind. The relations then doesn’t matter for you. The only thing that matters is the throne. The script is written nicely. Though, the writers had a good content from the history to explore which is documented, dramatizing it in a way that the audience can connect with it, is not less than a challenge. And the script writers has accepted and conqueredd the challenge quite well. While the episode is focused a lot on palace politics, battle scenes and other such stuff, the representation of Mughal art is also there. The makers focuses the camera on some of the grids of the palace while zooming into, to elaborate it. Of course, the famous Taj Mahal also makes its appearance in the visuals. Though, the episode is not focused on the story of Taj Mahal, there is nothing significant in that area is shown. Also, at various places, it is said that despite being an emperor, Aurangzeb used to make copies of Quran and sew caps in order to earn for his own living. These things are also not mentioned in this episode. In terms of acting, this episode has some excellent performance. Naming a few of them will be an injustice to the others. But here are the ones who played prominent roles and able to leave their marks; Om Puri as Aurangzeb, Sudhir Dalvi as Shah Jahan, Surekha Sikri as Jahan Ara, Ahmed Khan as Aquil Khan, Ved Thapar as Shahbaz Khan, Sohaila Kapur Limaye as Roshan Ara, Surendra Pal as Dara Shikoh, and Aparajita Krishna as Nadira. The episode also tries exploring the court dancing and other ways of getting entertained by the rulers those days. In this episode the dancers are Anita Ordia, Gauri Sharma, and Yuvak Biradari. The playback by Afroze Bano and Shobha Joshi is another positive attribute of this episode. The dialgos are nicely written. They are delivered in even fantastic manner to to multifold its impact. The cameraman knows his job and he shoots some interesting details. The use of animals is done quite interestingly and they leaves an impact for sure. This episode is a good example of producing quality content in a tight budget and without using much of SFX and VFX. A fantastic episode of Bharat Ek Khoj exploring the historical times of India. It explores many lessons one should learn from the history. It also shows us the consequences which are responsible for making India (that is Bharat) what it is today.